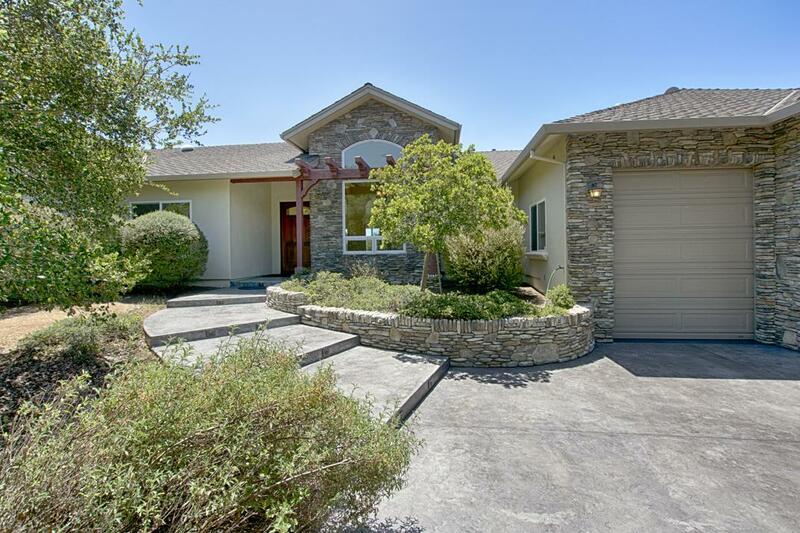 Single level luxury home in a gated enclave of custom homes on large lots. This Central Coast locale is just down a country road, with good access to shopping & highway 101. With a low maintenance yard, stucco exterior, 3 car garage, stamped concrete driveway and patio, flanked by mature Oak trees on 1.7 acres providing a buffer for your privacy and enjoyment. Living is easy, with all the amenities this home provides. 3141 square feet with 4 bedrooms and 3 full baths, jetted tub, 3 fireplaces, solid cherry wood interior doors, well appointed kitchen with many interior custom cabinet features. Granite counters, stainless appliances, natural travertine stone floors, 2 tankless water heaters, solid Mahogany front door, and beautiful stone work make for an impressive entrance. Superb location, condition and amenities make this one a must see.